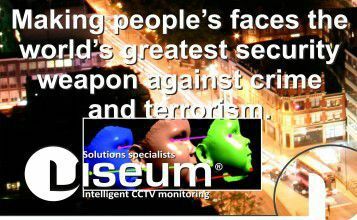 For automated security and situational awareness for complex and challenging environments, the Viseum Panoramic CCTV Camera has a patented multi-camera system to support environments that suffer from low light. Its low light fixed and moving camera lenses with auto-zoom are designed to optimise the available ambient light. Also, for ultra low light or where there is no light, the area covered by Viseum’s low light surveillance camera can be illuminated using infrared or white light devices, and can be wireless and battery powered if required. This low light security camera uses Viseum’s Central intelligent Video Management System (CiVMS) and can operate standalone, or over a low bandwidth mobile 4G connection. 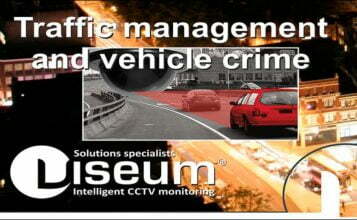 One of our main technology strengths is our advanced low light security camera technology and our low light CCTV Video Content Analytics (VCA) software, called Viseum Intelligent Virtual Operator Software or Viseum iVOS CCTV monitoring software. 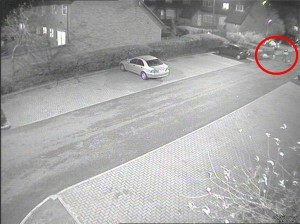 This provides low light outdoor CCTV security and key to this is the use of an advanced algorithm which continuously measures and adapts to constantly varying ambient light. 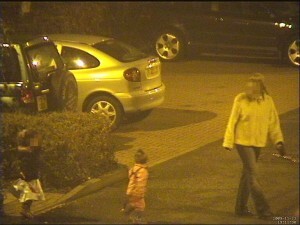 This is highly effective for low light security, when the naked eye finds it difficult to see. 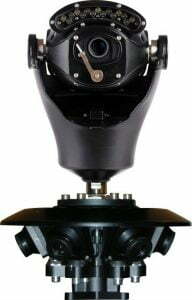 Our strength in automated open space surveillance is enhanced through a combination of superior camera hardware optics. A popular model of our PTZ Camera array has fixed contextual view cameras using starlight camera sensors. 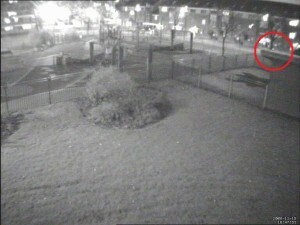 This example shows that although these fixed contextual view camera images look quite bright, the time stamp on the matching close-up PTZ camera image shows that these conditions were in fact on a November night under standard sodium street lighting. 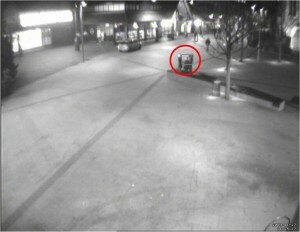 This example shows similar activity detection as the previous example, but in even lower light and at a greater distance, which is why the PTZ Camera switched to monochrome. This identification evidence is from a field installation in London. 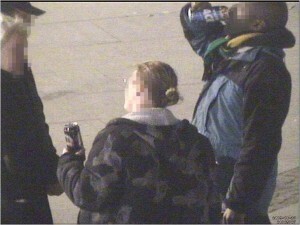 The area on and around these public benches had been given priority surveillance by the Viseum outdoor surveillance camera system because the end user needed to clamp down on illegal street drinking in the area. 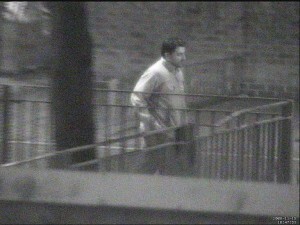 The evidence provided was subsequently used to identify illegally imported beer and prosecute a local shopkeeper for supplying it. News of the success of this installation was broadcast in a TV interview. In addition to the light sensitivity of the camera’s sensor, the factor that limits the quality of low light outdoor surveillance cameras and their ability to record identification evidence in low light environments is the optical performance of the PTZ Camera. 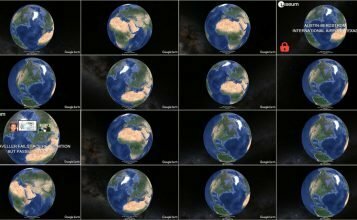 Effectively, the level of light required depends on the zoom levels needed. For installations with varied low lux challenges, we specify high-quality PTZ camera models with various optical zoom levels. For installations with zero lux, we specify suitable IR or white light illumination, or thermal cameras, for the site.